Keep Your Commitments: Plan Routes in Advance! Managing a business is hectic work, especially if you run a courier service, sales organization, or some other business that requires you to send employees out to meet with your customers. 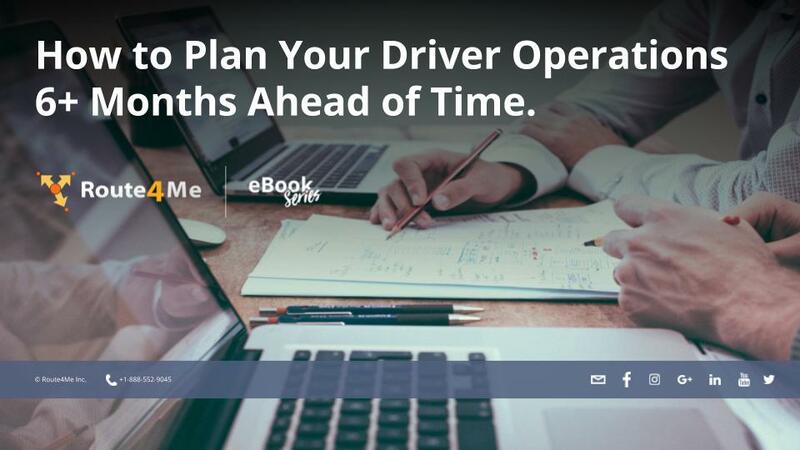 In that case, you need to design efficient routes for all your drivers on top of everything else you need to do to keep your business running smoothly. When you’re busy, it’s easy for something to slip through the cracks. What if you completely forget about a commitment you made to a customer? What if they wait around all day and you never show up? You’ll probably lose that customer to one of your competitors. Also, you’ll earn a reputation for being unprofessional and unreliable. A reputation like that will lose you a lot of business. Don’t wait to plan your routes at the last minute. You’ll be rushed; you might forget about something. With Route4Me, you can plans routes 6 months or more in advance. Turn to the next page to learn how. To set up your route, go to the Address Book List and switch to list view. This is where you add information about the route. In the Departure and Schedule tabs, you can schedule the routes for days, weeks, or even months in the future. Of course, you can’t plan for everything. Sometimes, life throws you a curveball. Let’s say you’ve been planning to make a delivery to a certain location for a few months, but then at the last minute, the customers wants you to meet them somewhere else. Changing the address of one stop affects how you approach every other stop on the route. You might need to start route planning from scratch in order to find the best way to use your driver’s time and gas. If you plan routes the old-fashioned pen-and-paper way, that can take hours.